The Pig Bucket | Looking for answers about food, sustainability, organic, being green, and lessening my impact. Looking for answers about food, sustainability, organic, being green, and lessening my impact. Each basket would contain one of the following each week. 10 eggs share would be up for grabs. We would consider offering meat shares as well. Meats available would be lamb, ground beef, pastured poultry and rabbit. Am I interested? You bet!!! I’ve already responded and she let me know 5 others have responded in kind as well! By Monday I’ll know if I’m able to continue this wonderful journey into better food and health. Keep your fingers crossed for us! 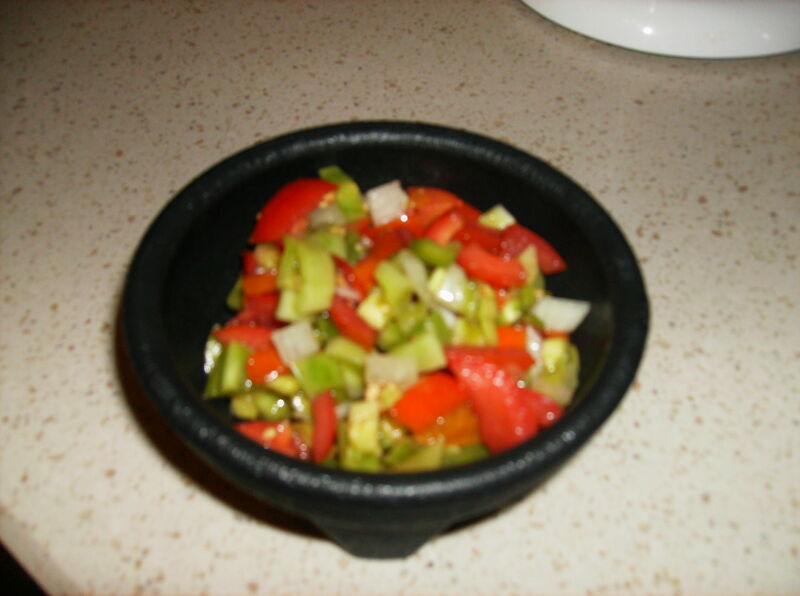 Red and Green Tomato Salsa — this was a mixture of green tomatoes, red and yellow tomatoes, sweet onions, bell peppers, salt, pepper, garlic salt, lime juice and lemon juice. Delicious! Green Tomato Mincemeat — chopped green tomatoes, chopped apples, raisins, brown sugar, and spices are all that’s in this. 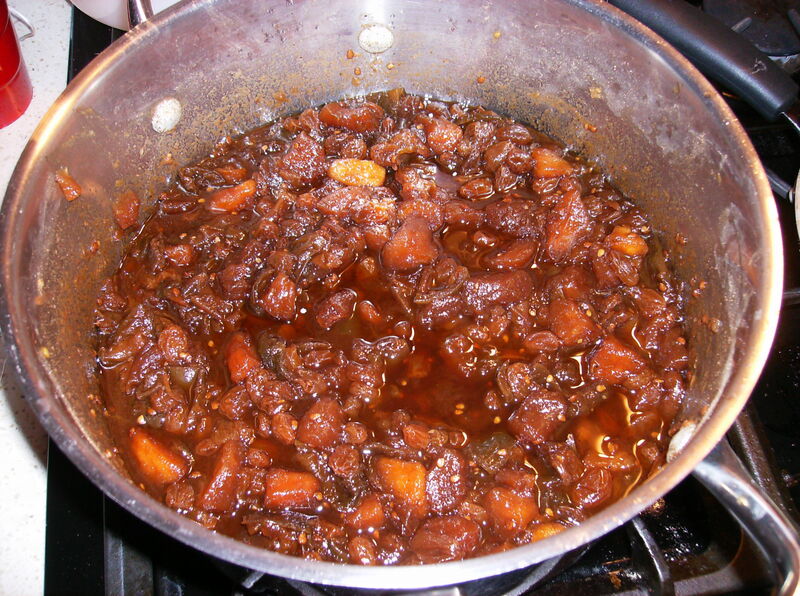 Then you let it cook down for 3-4 hours and in the end it tastes exactly like mincemeat! I put 3 quart size ziplock baggies of this mixture in the freezer for later use. I’m thinking at least one pie and some moons will be in order! 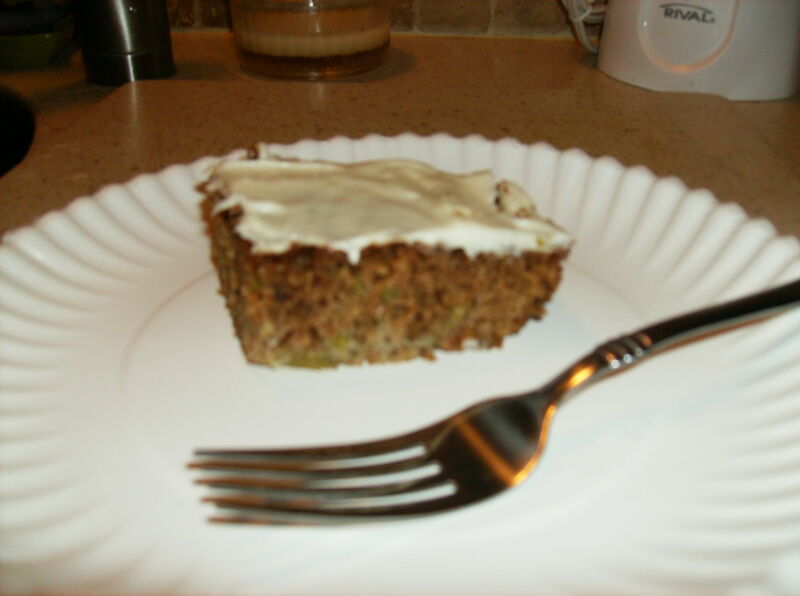 Green Tomato Cake — very similar to a zucchini cake or a spice cake. Unfortunately, I originally gave it low marks the day I made it because it smelled like cooked tomatoes when it was pulled from the oven, and then was very dry and off-tasting when I frosted it. However, I served it the next day and others sampled it as well and we all agreed it was good. I guess it’s one of those make-ahead recipes. Week #20. I never thought there was any way that I’d still be receiving fresh vegetables this late in the year! The farmer’s market is long over, and we are a week from the other local market (produce and bakery products only) from closing. 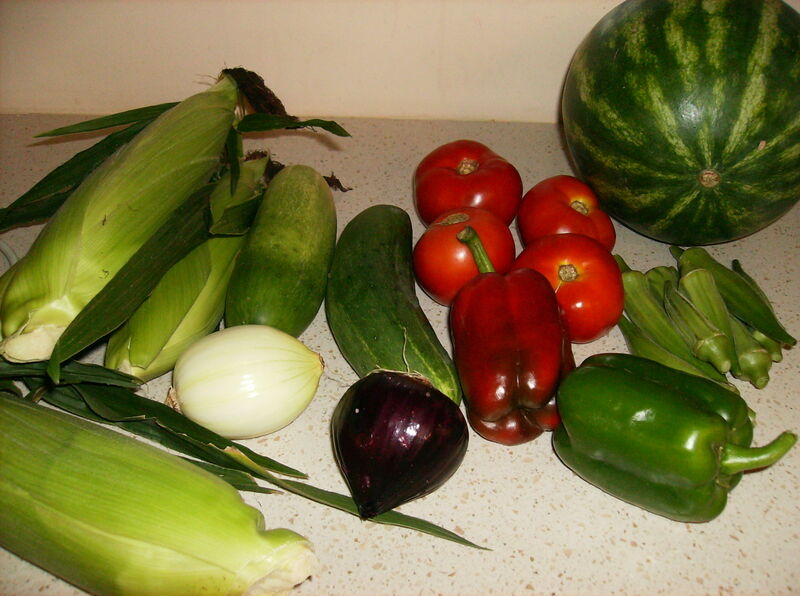 But my CSA farm is still bringing wonderful bounty. Have I said enough yet that I simply LOVE this program? I am so glad I found this farm. 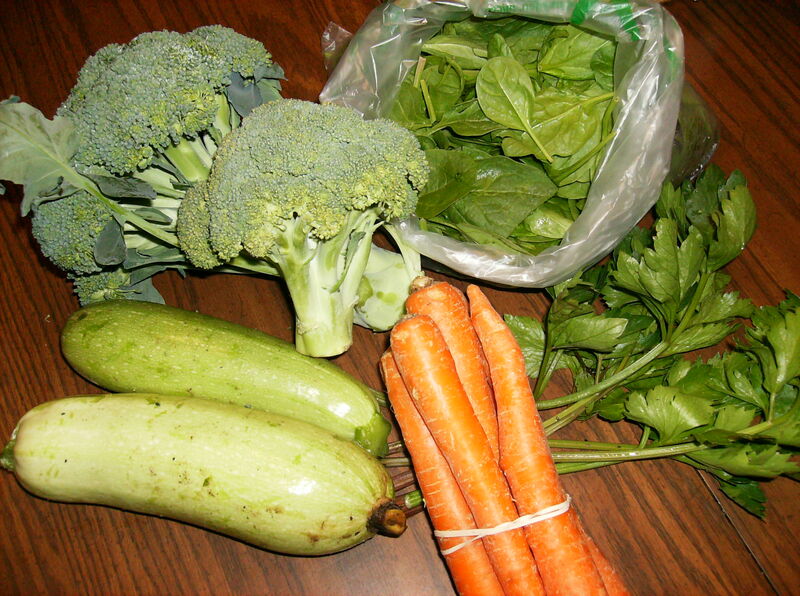 I had really wanted to join another CSA because I was familiar with their produce already, but they were so late in getting things set up and getting calls out, I just felt like I couldn’t wait to see if I could get a spot. I am glad I was impatient. 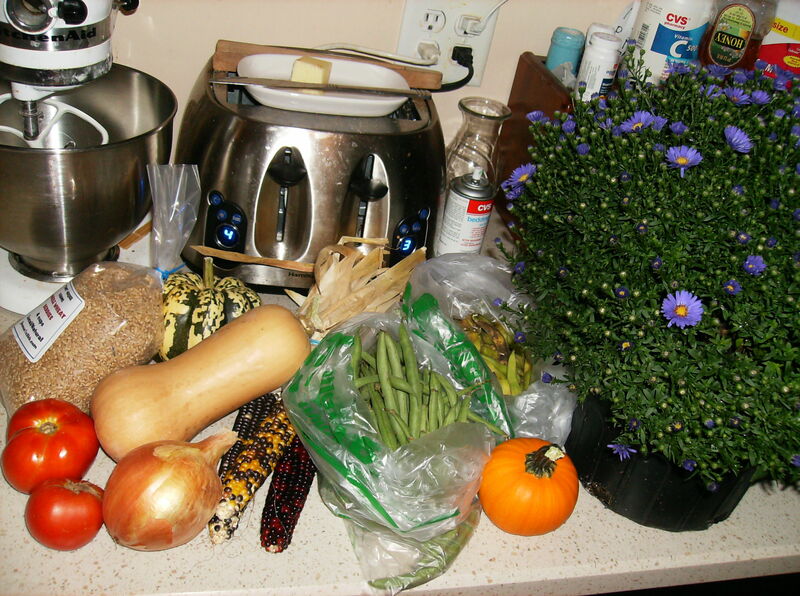 I was able to get familiar with a new farm and I’ve gotten wonderful produce all summer and fall so far. I hope they offer the subscriptions again! So funny that I still have 2 weeks to go and I’m already thinking about next year! My basket arrived today, and as promised, it contained what we should start expecting as soon as the summer produce finishes up. My basket contained 3 ears of decorative corn (which I promptly hung on the outside door), a tiny pumpkin (too small to carve or eat, so it’ll decorate our table), a potted purple aster, tomatoes, a butternut squash, an acorn squash, an onion, green beans, and soybeans (edamame). Also included were some wheat berries, grown on their farm. The farmer says we’ll return to the regular summer baskets next week and stick with that until that harvest is done. Oh, and we’re supposed to get what she called a really LARGE winter squash next week as well which is supposed to be put in the freezer. Instructions included! Can’t wait! My own tomatoes have dwindled to almost nil. I get about 5 romas a week, and a couple of smaller goldens. There are a dozen or more green tomatoes on each plant, and I’ll leave them as long as I can in hopes we’ll get an Indian Summer and they’ll ripen. My peppers are still growing, but some rain tipped a plant over last week while we were away, and I had to harvest several very small peppers just to keep them. I’m slicing and freezing them for use this winter. Thoughts are starting to go towards next year’s garden. As much as I loved the green beans growing up the poles which made it very easy to harvest, the beans themselves were very stringy. I’ll have to research pole beans to see if any varieties aren’t so stringy. What I’d like to do is build an arbor and have the beans climb that and grow along the top. Then I could manage them better (especially if I don’t plant so many seeds). I’m not going to plant peas, and I’m going to move the herbs to the pots. That’ll give me more room for tomatoes and peppers. We had them too close together this year and the peppers have really struggled to get enough sunshine. So we’re considering beans again, peppers, tomatoes, and herbs. Oh, and cucumbers again, this time left to crawl along the ground. I was thinking about maybe getting some chicken wire and laying it along the ground just beyond the plants and then when we need to mow, we can just lift up the wire to mow under it? I’m also going to build new tomato cages this year using much stronger wires. I’ll be buying longer stronger stakes too. We learned a lot this year! The bounty is back, and we are still enjoying all the treats! Fresh watermelon this past week, and I let it ripen a tad longer, so it’s very sweet now. The corn was a bit chewy, but it was still flavorful and delicious. The peppers made great stuffed peppers! We also enjoyed zucchini pancakes and cucumbers in our salad.